Tarot Battlers | Make A Game! 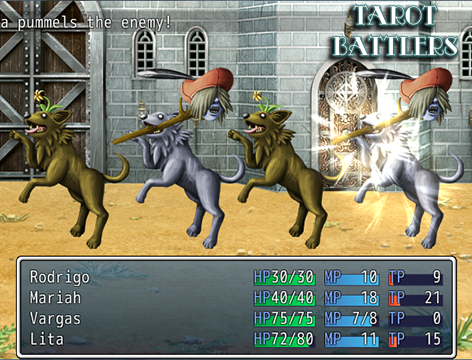 Battle with creatures of mysticism and metaphor with Tarot Battlers! Created by Thalzon, the creative mind machine behind the Ancient Egyptian Myth battlers and an ever-growing thread of free goodies, Tarot Battlers is large compilation of enemies you'll really want to own. Each card is presented in several variations, ensuring that you will find just the right imagery. 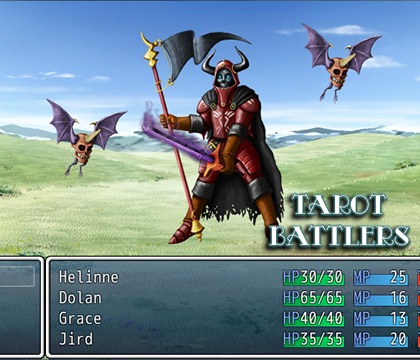 Compatible with most RPG Maker XP, VX, and VX Ace battle systems.